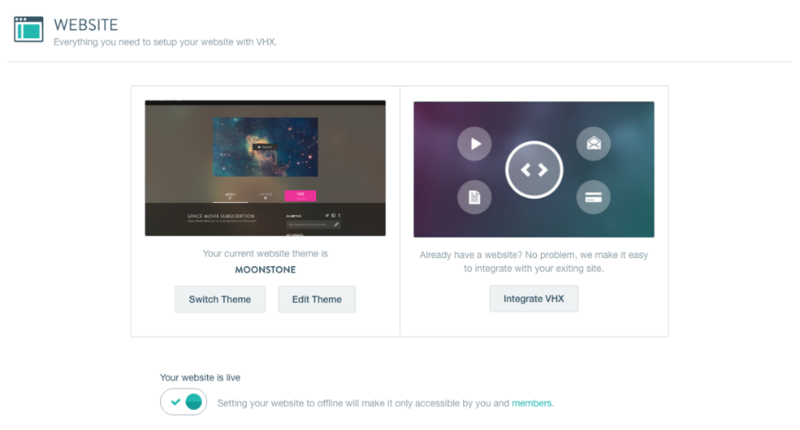 There are 4 themes that Vimeo OTT currently offers if you are selling Subscriptions. Here's a preview of each and how to select one. 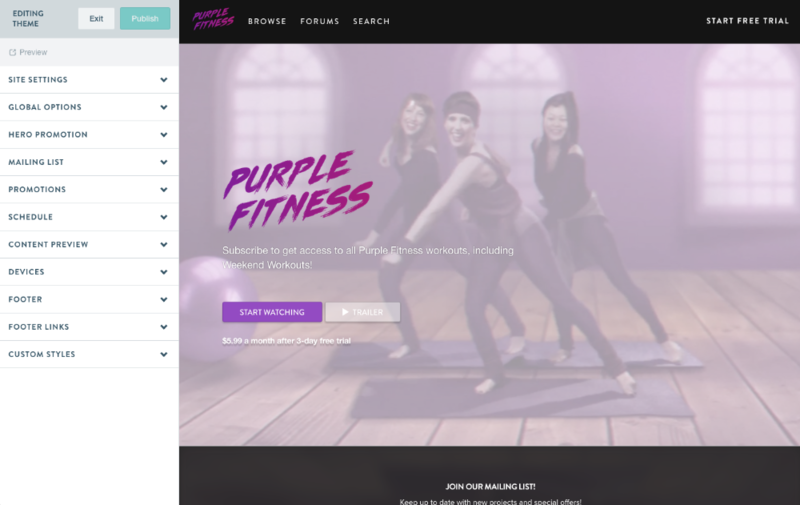 To choose a theme and edit it, you must have a subscription product with videos created, and your payout connected first. In the Vimeo OTT admin, click the Distribution dropdown, select Platforms, and click the green Website Settings button. On this Website Settings page, you will see your current selected theme, which defaults to Moonstone. Click the Switch Theme button to be taken to the Themes page. 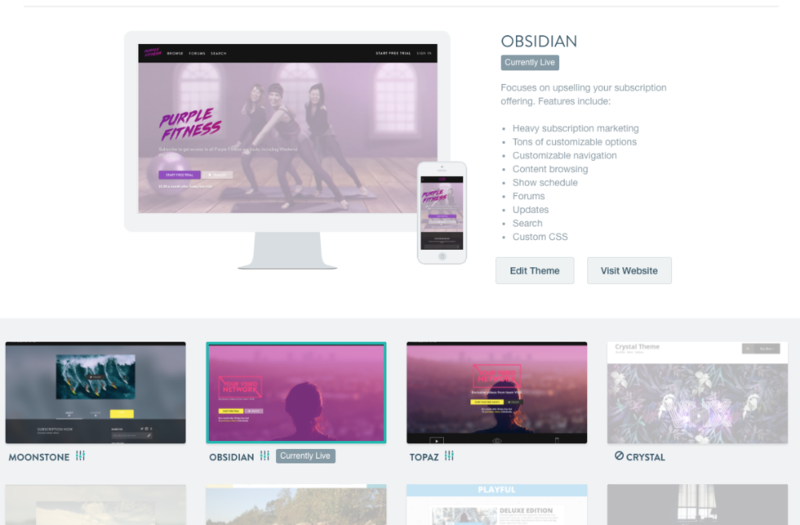 On the Themes page, you will see the 4 subscription themes highlighted while the other themes we offer are blocked out (these are for selling transactionally only). Click the theme you like, and then hit the Select Theme button to set it. You can then go on to edit the selected theme via the Edit Theme button. In your Vimeo OTT Admin, click the Distribution dropdown, then Platforms. 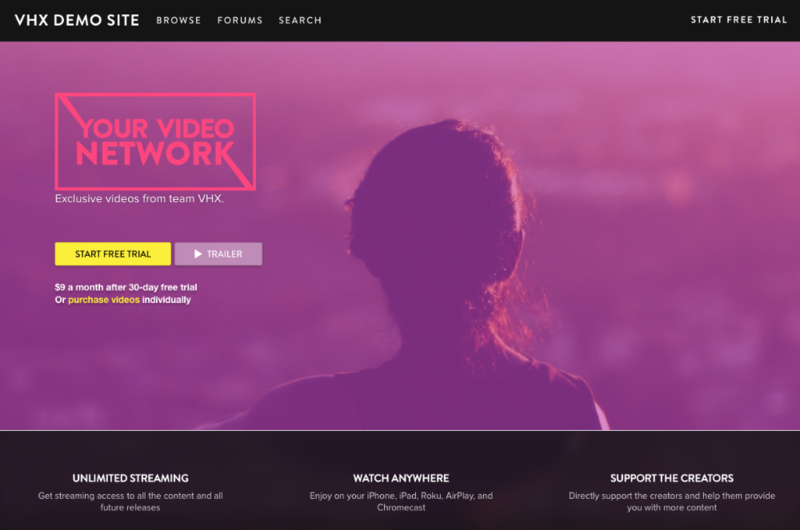 On the Platforms page, click the Edit Theme button under the Website heading. You will be taken to the theme editor, which provides you with different customization options for each theme you may have chosen.